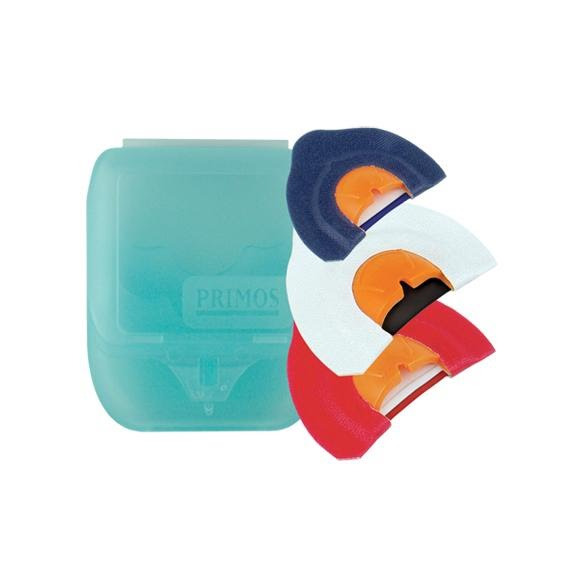 The best value on Primos' newest elk mouth calls. The collection of calls will allow you to reproduce every distinct sound that elk make; cows, calves, spikes, satellite bulls, mature bull growls, bugles and chuckles, as well as Estrus cow cries. These Sonic Dome calls truly Speak The Language. The best value on Primos &apos; newest elk mouth calls. The collection of calls will allow you to reproduce every distinct sound that elk make; cows, calves, spikes, satellite bulls, mature bull growls, bugles and chuckles, as well as Estrus cow cries. These Sonic Dome calls truly Speak The Language.